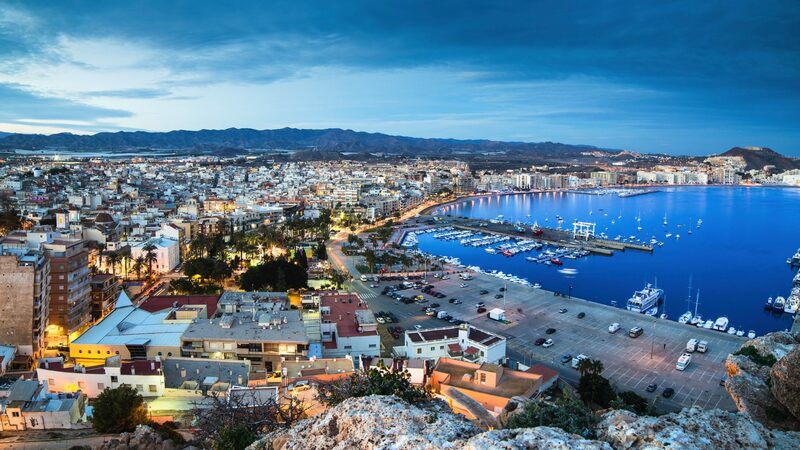 SITUATED ON THE SOUTH-EASTERN COASTLINE OF SPAIN, Murcia is a city better known for its tourism industry than its football exploits. And is it any wonder? For a holidaymaker, it has everything to offer. There’s the scorching Iberian climate for a start, then a vast array of quality golf courses, an idyllic old town, museums, beach resorts, and even a beautiful lagoon where the water is warm and the tides calm. But we all know you can’t have everything – and the fact remains that for a significantly sized city, the one major area in which Murcia would appear to be lacking is football. So what is the reason? 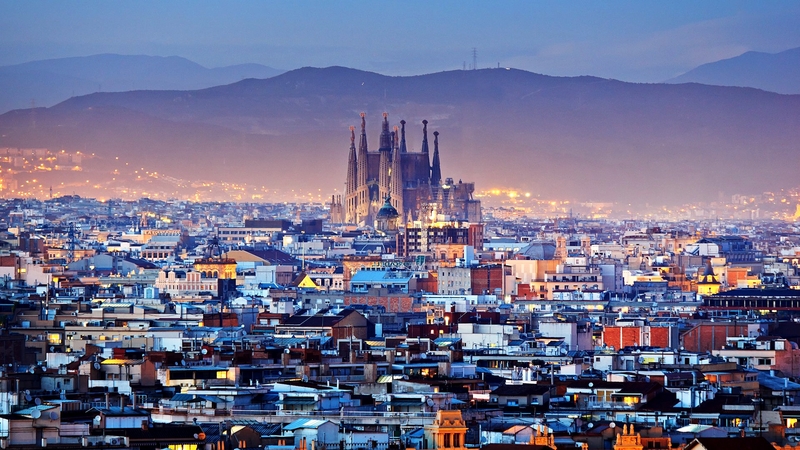 With over 450,000 inhabitants, Murcia sits as the seventh largest city in Spain. It is plonked on the Spanish coast right between the esteemed Valencia and plucky Granada – two La Liga regulars in recent years. In fact, it is even the home of the world-renowned La Manga Club. The acclaimed multi-sport and leisure resort is a prime warm-weather retreat for many of Europe’s top sides. It boasts eight FIFA-approved natural grass pitches, a five-a-side pitch, a Wellness Centre, a state-of-the-art High Performance Centre and a gymnasium. Ajax, Anderlecht and Borussia Dortmund are regular visitors. Barcelona, Real Madrid, Bayern Munich, Chelsea, Liverpool and Tottenham are just a handful of others who have utilised the facilities in recent times. The full list is extensive. So the facilities are there; that much is clear. But what’s not so easy to understand is why Murcia’s own sides don’t make the most of said facilities right on their doorstep. Why does such a substantial community, with a population much greater than the likes of A Coruña, Bilbao, Granada and Vigo, consistently punch below their weight in Spanish football? Well in truth, the reason can be boiled down to a lack of motivation. Think about it. Of the major Spanish municipalities, Madrid has Atlético and Real, but also Getafe and Leganés on the outskirts of the city. Barcelona has FC Barcelona and Espanyol. Valencia has Valencia CF and Villarreal. Seville has Sevilla and Real Betis. For a long time, the city of Murcia only had Real Murcia. But that was about to change. After previous incarnations as early as 1908, Real Murcia was officially born in 1919 – at the time under the name Levante Football Club. Administrative issues, however, led to an early problem. It was only after this new club had officially been registered that the federation noted another club, registered in the same Valencian Community, was also known as Levante Football Club. Therefore, as a temporary measure, an unexplainable ‘R’ was added as a prefix. After winning the Levantino Regional Championship, the club’s first title, R.Levante became Murcia Football Club. The win had not only brought silverware, but perhaps more importantly, qualification for the Copa del Rey for the first time. Ahead of the 1923/24 season, King Alfonso XIII awarded Murcia the ‘Insignia Real’ (Royal Badge), which from then would be worn on the players’ shirts. The club became Real Murcia Football Club. For the start of the following season, the side moved into the 16,800-capacity La Condomina stadium. They became known as Los Pimentoneros – The Paprika Men, in homage to their new scarlet-coloured strips. The renovation was complete. Along with the gentrification of Real Murcia came fresh impetus. In 1929 the club finally rose from the lower realms of Spanish football to make the third tier. They kept building, brick by brick. Little more than a decade later, they reached La Liga for the first time – but not before a club crisis just a few years prior, making the feat all the more remarkable. In truth, a first La Liga appearance should have come sooner. A restructuring of the top flight in Spain was announced in 1934, meaning four teams would win promotion from the second tier to La Liga itself. Murcia surprised many, finishing third that season – but the elation was short-lived. An extraordinary meeting at the Spanish football federation was called and concluded that Murcia would not be promoted since they had now, with hindsight, re-revised terms to allow just two teams to go up. It seemed like football snobbery in full effect. Murcia bosses believed it was all designed to keep Valencia in the top flight. Club dignitaries were incensed. President Antonio Fontes Pagán resigned and took the majority of the club directors with him. Murcia had begun to feel financial pressure even before this scandal. After it, they were at breaking point. In a roundabout way, Murcia’s only saviour from total collapse was the Spanish Civil War, as all football activity in the country was halted between July 1936 and December 1939. Upon resumption, player-coach José Griera led Real Murcia to La Liga for the first time. After subsequent relegation, Murcia again repeated the feat in 1944, but ultimately found it difficult to become an established top tier side. Right up until 1980, Murcia battled between Spain’s second and third level of football, including a season under the stewardship of one Ferenc Puskás. The Hungarian was no stranger to Spanish football, having spent eight years starring for Real Madrid. Puskás joined Murcia in 1975 on the back of four successful years with Panathinaikos. He won a Greek league title in his tenure and led the side to become the only Greek team in history to reach the European Cup final – a record which still stands today. Murcia believed they had made a major coup. In the end, Puskas, as with many of the game’s greats, failed to transfer triumphs as a player onto the managerial scene. He didn’t even last a year with Murcia, as the club were again relegated to the third tier. His own managerial career took him to far-flung parts of the globe, all without major success. Fans and raconteurs alike will tell you that Real Murcia’s success in the 1980s will never be topped. Six seasons were spent in the top flight. The year 1981 brought the club’s most famous win – a 6-1 away victory against Real Zaragoza. It brought another relegation too – selective memory kicks in for that part, though. They had become known as a ‘lift’ team by the rest of Spain. It was the Spanish equivalent of being called a yo-yo club like in England – bobbing up and down between divisions. In 1991, Murcia led the Segunda División for 35 consecutive days after a bright start, but collapsed to relegation by the end after a final-day defeat to Deportivo. The owner was looking to sell the club, but couldn’t find a buyer. Paco Jémez was among the players in the squad who protested after not being paid for months. Things got pretty messy, so much so that in 1995 the club sold their home ground, La Condomina, to the local council in an effort to ease their financial woes. They brokered a deal to be able to use the ground again, but now at a limited capacity of 4,500 due to safety concerns. In this barren period they were lucky if they could draw 1,000 fans to home games. The club was saved from a dire state in 1998 when it was purchased by Jesús Samper. Samper was a football man. A sports lawyer and marketer, he had previously worked with Real Madrid as a legal advisor, and was a key figure in the creation of La Liga as we know it today. Samper took up a 94 percent majority stake in the club, and the whole club felt a massive lift. Come 1999, and just a year on from the acquisition of Real Murcia by Señor Samper, another operation was underway in Murcian football. A new side, Universidad Católica San Antonio de Murcia CF, based out of the namesake college, was founded. This meant nothing to Real at the time, and it was barely noted by locals outside of the University area. It would later become very pertinent, though – kick-starting a chain of events which would ultimately change how football in the community was followed. Back at Real Murcia, Samper became club president in 2001 and appointed David Vidal as manager, who kept the club afloat in his first season. In his second, Vidal took Murcia to the quarter-finals of the Copa del Rey and achieved promotion to La Liga yet again. With La Condomina in rack and ruin, Samper sanctioned the building of a new 31,000-capacity all-seater stadium which would be opened in 2006 – the Nueva Condomina. The club began an ambitious project, using money from the sale of Pedro León to sign Fernando Baiano and Henok Goitom – the two most expensive players in the history of the club. Club membership grew to a record high of 25,000, and everything seemed well. The tip of the iceberg was appointing former Spain national team coach Javier Clemente, but even he could not prevent relegation in the limited time remaining in the season. In contrast, the new Catholic University side had discontinued football competition. In 2005 they had somewhat reformed as Club de Fútbol Los Garres, competing in the lower realms of the football ladder for a season until all equipment was sold off to another small-time local side. Murcia Deportivo Club de Fútbol was the beneficiary, who themselves actually earned promotion to the third tier. Soon the tide turned, and Real Murcia was again in the midst of their own struggle. The 2008/09 season had started badly on and off the pitch. First, Samper resigned as president, and a week later Javier Clemente was sacked as coach. New president Juan Guillamón expressed concern over the future of the club, reporting that economic debt had risen to €50 million. After 48 days in office, Guillamón was next to leave. The club was re-acquired by Samper with a 97.3 percent stake. When Real were again relegated in 2010, the two Murcia sides were suddenly within a single division of each other despite total polarity in stature. A local businessman from Murcia saw an opportunity and bought the club. After relocations in both of the previous two seasons, the Universidad Católica San Antonio de Murcia again paired up with the club, and UCAM Murcia CF was born. A stronger sporting structure was put in place at UCAM with José Luís Mendoza becoming club president and former president Juan Nicolás dropping to become understudy. In the first year under this guise, UCAM finished a respectable sixth in Group 13 of the Tercera, also reaching the second round of the Copa del Rey. 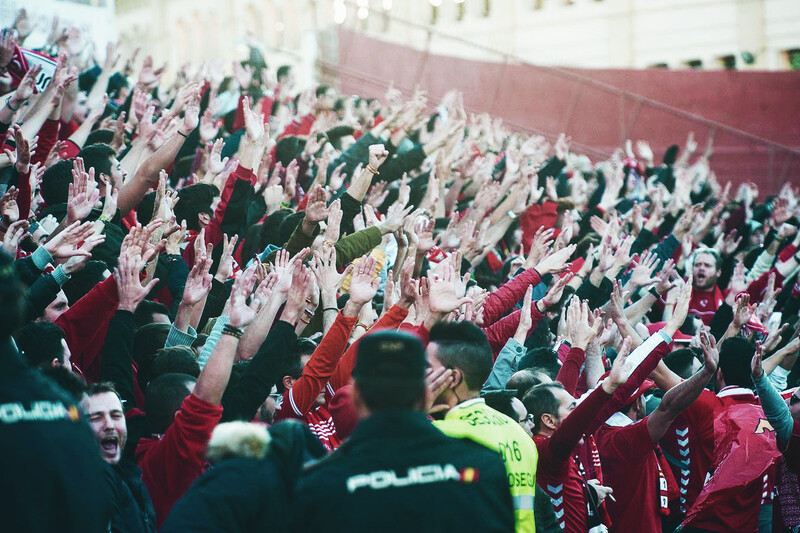 Real Murcia had come to know UCAM by now, but their supporters didn’t know what to make of this new entity with few fans and even less charisma. While they had undeniably come pretty far in just a few years of existence, what the hell gave them to right to challenge close to a century’s worth of Real history in the city? It was a strange mix of admiration and envy at the sheer balls behind their rise. The 2012/13 season saw Real Murcia finish in the relegation spots of the Segunda, but by a slice of luck managed to remain in the league due to administrative irregularities of CD Guadalajara, who were forcibly relegated instead. UCAM too finished the same season a league below in the relegation places, but went down without such a good luck charm as their neighbours. UCAM won instant promotion the following year as Real remained in their own league, with a similarly impressive run that almost led to promotion for themselves. The parallels in fortune year on year were bizarre. Now only a division apart once again, UCAM were on the offensive. After replacing their coach and appointing a sports director for the first time, they made their most daring move yet, applying for permission to move into Real’s former ground and home of 80 years, La Condomina. Even though Real Murcia had previously sold their former stadium to the council, they still saw the knackered old ground as their spiritual home. 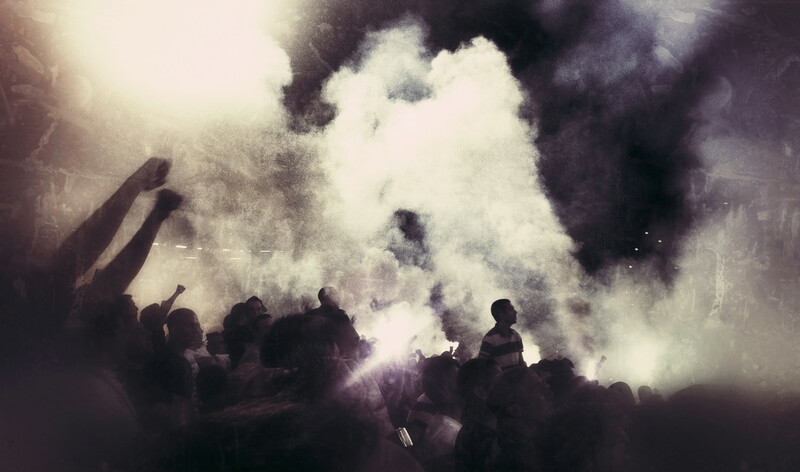 Of course, their fans opposed the idea of the Universitarios moving in, but they had no leverage in the matter. The stadium had been lying dormant for seven years by this stage. With UCAM struggling for a suitable ground anyway, it made perfect sense. Permission was granted provided UCAM funded the renovation of the ground. They speedily improved the safety issues with the ground and even installed an artificial turf pitch in the process. Simultaneously, and fresh from finishing fourth in the second tier, Real Murcia were controversially issued a ‘double descent’ relegation order by the LFP – the Spanish Football Association. The reasons were unclear. The LFP cited financial reasons again, but Samper and the board denied this was the case. Thousands of people flooded the streets of Murcia to protest the decision. The club garnered support throughout the nation in what was seen as a grossly heavy-handed sanction compared to many clubs in a similar situation, most of which had received just a points deduction. Samper’s poor personal relationship with the LFP was alleged to be the hidden agenda of the association. The issue was later resolved in court when the Federation upheld the double relegation. The Paprika Men lost three quarters of their squad that season but still made promotion easily despite being inexplicably placed in a league group with teams from the north of Spain instead of the south, which would have corresponded much more closely to their geographical location. You can imagine the fury that was still burning inside the following season. The feeling of injustice doesn’t go away overnight; in fact, it can even fester. There was the added prospect of facing UCAM Murcia at the old La Condomina in the first ever Murcia derby between the sides that would likely be direct promotion rivals by the end of the season. It was fuel to the fire; the newest rivalry in Spanish football was born. On 22 November 2015 the pair finally met, with the league lead, as well as self-identity, at stake. La Condomina was at its full capacity, awash with red. The Real Murcia team bus was ushered to their former ground by waves of fervent Real fans. It was a takeover – and just like the old days. The game started with an obvious heat to it. Real fans were raucous in the stands, vastly outnumbering UCAM supporters. Real Murcia then opened the scoring 23 minutes in through a UCAM own goal by Dani Peréz, sparking a deafening scream of “GOOOOOOL” that belied the mere 5,500 in attendance. UCAM equalised through a superb Góngora direct free kick struck with the left foot, dipping into the top corner. The UCAM players made a point of celebrating in the centre of the pitch with their staff and substitutes. It felt as though these were the only UCAM backers in the stadium. Their stadium. Real exorcised the massive chip on their shoulder to win the game through Alejandro Chavero, who scored a header from a corner in the 74th minute in front of a full stand of Real fanatics. The scenes were like those following a last-minute cup final goal; every outfield player raced to celebrate with their fans, who meanwhile had surged in such numbers that the advertising boards collapsed, causing Royals fans to pour onto the pitch. Luckily nobody was hurt. In the reverse fixture at the half-filled 30,000-capacity Nueva Condomina on 10 April 2016, UCAM arrived for the first time knowing that a revenge victory would almost guarantee promotion to the Spanish second tier. It was a much tighter affair, with both sides having only half-chances in the first hour. In the 76th minute, a first-time cross was met perfectly by Pablo Pallarés, steaming past the penalty spot before heading low into the far corner. The ground went silent with the exception of a small collection of family, friends and UCAM supporters. The rookies held out to win 1-0 and saw out the season successfully to win promotion. It was a brilliant feat by the Universitarios, who increased their sparse fan base in the process. UCAM spent a short-lived single season in the second tier in 2016/17, taking it to the last fixture of the season before defeat to Gimnàstic meant a relegation finish. For such a new and somewhat under-resourced club, it was still a proud showing. At present, the 2017/18 season in the third tier of Spanish football is well set as UCAM rejoin Real Murcia in Segunda División B. The pair are again expected to be promotion rivals, and have already met at the Nueva Condomina with UCAM taking the spoils 2-1. The game was the most attended fixture in the third tier so far this season. One interesting observation from the game was the noticeable increase in UCAM fans compared with the previous meeting in the same ground almost 18 months ago. The fan base and the rivalry as a whole will only grow from here on.